The Out of Soil project started as a playful action in Berlin in April 2015. The project and its different parts have taken their cues from the ambiguous meaning of the words ‘out of soil’ as in ‘made out of soil’ or ‘running out of soil’. We are happy to announce that the project Out of Soil will be happening in New Delhi, India end of this month. 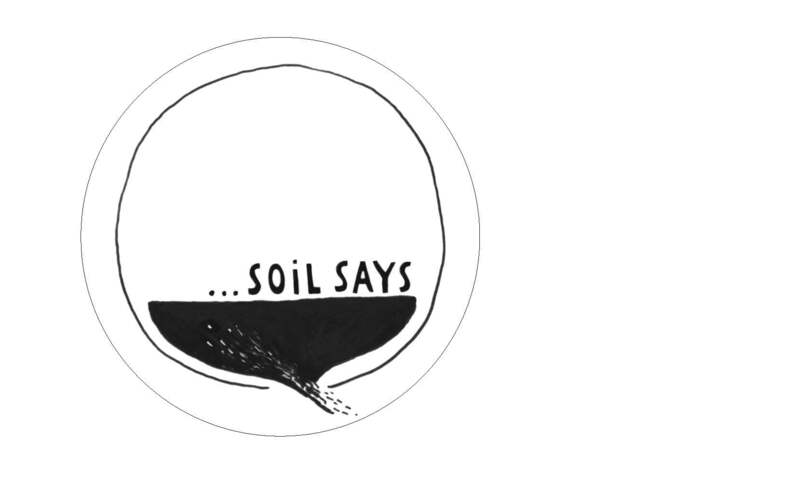 New to the project are Soil Speaks stickers which give wearers a chance to give soil a voice. We have been invited by Dr Vandana Shiva and Navdanya to perform the Out of Soil action at the Bhoomi: Maati Ma – The Festival of Soil on October 1. As a new extension to the Out of Soil project, we will run a 3-day Soil Games workshop with high-school students in New Delhi. Soil is much more than just a matter of economic and existential value, but the way we perceive and use it is deeply rooted in our cultures. The workshop brings up the culturally different concepts and personal stories connected to soil and transforms them into games. Together with the students we will develop and play games that relate to the themes of soil and land use. We will introduce various game mechanics and talk about typical local games. Moreover, participants will learn about soil and land issues in the world, about the composition of soil as well as plants and life underground. Also traditional and cultural meanings of soil will be looked at: what role does soil play in myths and religious beliefs? We will discuss the economic and social meanings of land, land use, ownership and agriculture and their ramifications on the life of each of us. Based on these introductions, games will be developed and tested in small groups, and eventually presented at the Festival of Soil. Out of Soil in India is supported by IFA, Institut für Auslandsbeziehungen.